If and when you get the fish close to the boat, it may sound, or dive deeply. This is when the job can get very tough, as you have to winch the fishwhich may be hundreds of feet downto the surface by pumping and reeling repeatedly. Most fish are lost close to the boat just before landing. 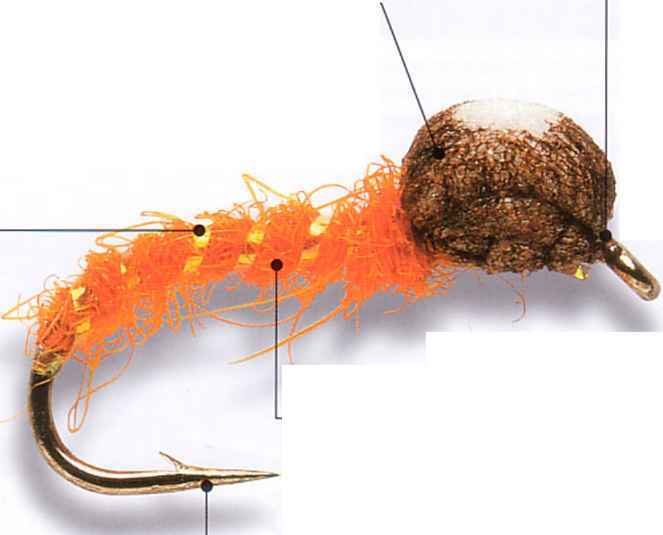 It's very important to do exactly what the mate saysspecifically reel or don't reel, because the fish may jump, sound again, or even take off on another run. Any slack line could allow the fish to throw the hook or roll on the line, breaking it or tearing out the hook. 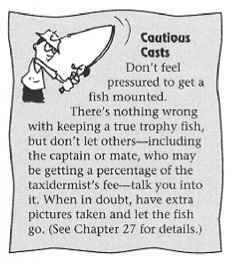 When the fish is ready to be boated, the mate will grab the leader with a gloved hand and either gaff the fish and hoist it over the side or bring it in through a gate in the stern. Very large fish may need to be roped around the tail to be brought in. Be ready to vacate the chair as soon as the mate tells you to, as a large fish can jump and writhe powerfully and may cause injury. If the fish is to be released, the mate will cut the leader as close to the hook as possible. Now you can relax, have something to drink, and start telling your story. The Least You Need to Know. Book a charter trip well in advance, and first research the area, the best time of year to fish, and the charter boats available. Sailfish, various marlin species, swordfish, bluefin tuna, and sharks are the most popular quarry of offshore anglers. 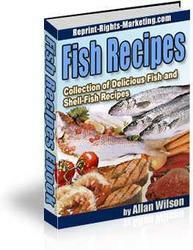 Dolphin, king mackerel, and barracuda are common secondary catches. Follow the mate's instructions exactly when fighting a fish. Use your legs and back as well as your arms to bring the rod up, and reel in slack as you drop it down.